Knowledge does not equal action when it comes to eating well and exercising. Heather Hausenblas studies the gap between what people know and what people do. The director of the Exercise Psychology Laboratory, Hausenblas examines the links between the psychological effects of physical activity and eating behavior. The first of Hausenblas’ research programs examines both exercise and eating behavior in overweight adults, pregnant and post-partum women, sufferers of eating disorders, and middle school children. 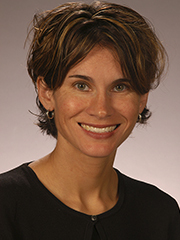 Her second research program studies body image and its effects on eating and exercise. “Research I have conducted with overweight, university and pregnant women indicates that improving physical appearance is a more important reason for exercising and eating healthy than improving overall well- being,” says Hausenblas. Complex factors influence whether a person will change their eating and exercise habits.